This work is a diptych. This page shows the larger panel. 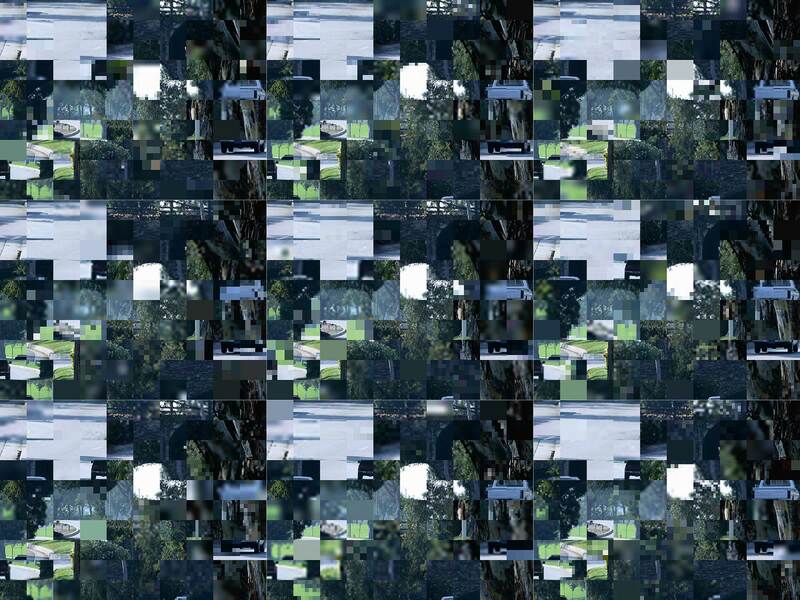 The smaller panel shows the original grid, constructed with care and without use of randomness, that is repeated nine times in the larger panel with almost all cells reduced in resolution. It is acceptable to hang one panel without the other, but preferable to hang them both together, if possible between about five inches and two feet apart. Larger panel: Paper size, 43.3 X 56.9 inches; image size, 40.8 X 54.4 inches.